​Kimberly Pitzrick’s journey in art began during grade school in Phoenix, NY. After graduating in 2008, she attended Onondaga Community College in Syracuse, NY and graduated with an AAS. After taking a short break from school, she then decided to attend SUNY Oswego in the Spring of 2014. Here she graduated with a BFA degree concentrating in painting. 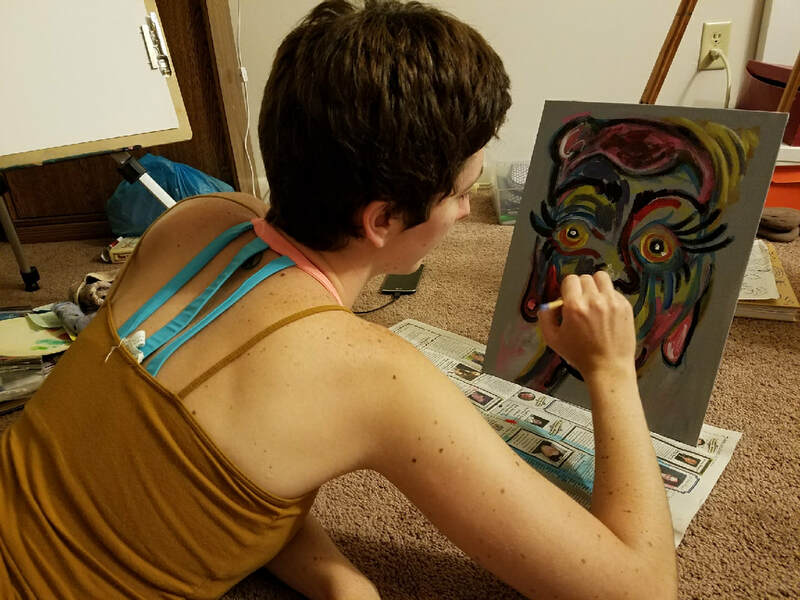 Kimberly has always headed in an abstract direction with her art as this is how she is able to represent her ideas and inspirations most successfully.